One of the requirements for my long-term stay visa is that I have health insurance that will cover me here in France. I initially bought a private policy that met the minimum requirements, but as soon as I had lived here the requisite six months, I applied to purchase French healthcare through their nationalized system of social security. I began the process last June. 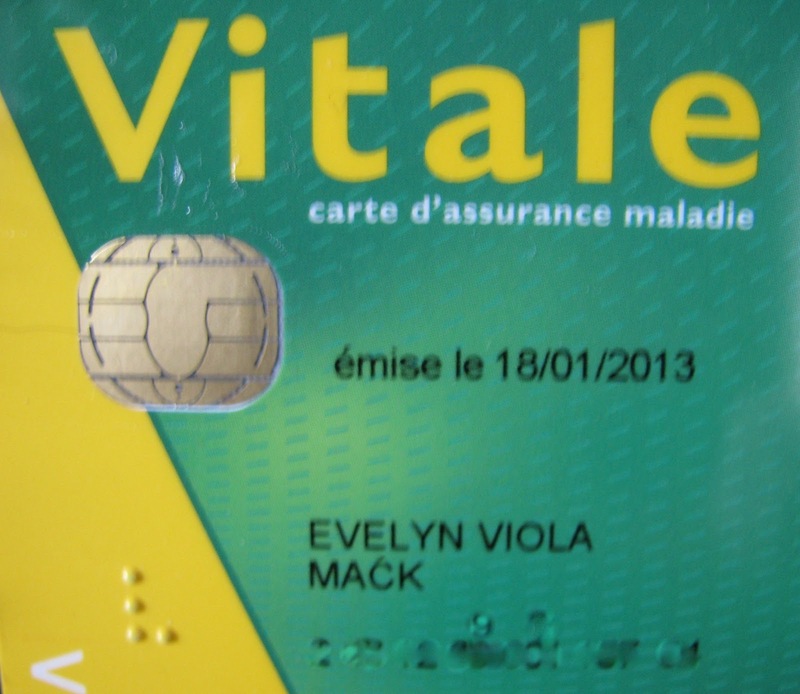 Yesterday I received the final piece of the bureaucratic puzzle, my Carte Vitale! Yay! This is the frustration of dealing with a massive bureaucracy...if you get into the system even just a little 'wrong,' it's a long, difficult road to make it 'right.' In my case, somewhere along the line, there was confusion over my divorced name and my birth name. I filled out paperwork three times, sent every piece of documentation that they requested and yet, it took three separate phone calls to the English-speaking help line to get it figured out. Note to anyone filling out paperwork here...unlike in the States where no one ever asks you for your maiden name, the French are very attached to their birth names; it shows up on all their official papers, so don't be surprised if you get asked for it...a lot. The last person who helped me (she was very nice, BTW) asked me if I minded if my Carte Vitale was in my maiden name. I told her no...'if it works for you, then it works for me!' And I kind of wish now I'd gone back to my maiden name anyway. So....months after the first piece of paperwork was mailed, I have my Carte. It took persistence, a sense of humor and a lot of patience, but the pay off is that now when I access health services, I simply hand them my Carte, they swipe it into their machine, and voila! my care is paid for. The good news in all this is that I have been covered and my healthcare costs paid all along. I had to file the paperwork myself for that to happen and pay up front. But, like magic, France reimbursed me with a deposit directly into my bank account. It's a great system....once you get into it! The bureaucracy here has to be experienced to be believed. I am contemplating taking French citizenship and they want documents such as your parents' birth certificates! Good thing they don't want the grandparents' as well - I only discovered 2 years ago who one of my grandmothers was!